I bought a used Girasol Northern Lights ring sling off of a mama on our local BST page when I was looking for something small to put in the diaper bag. It was my first Gira experience, and I was pleasantly surprised. 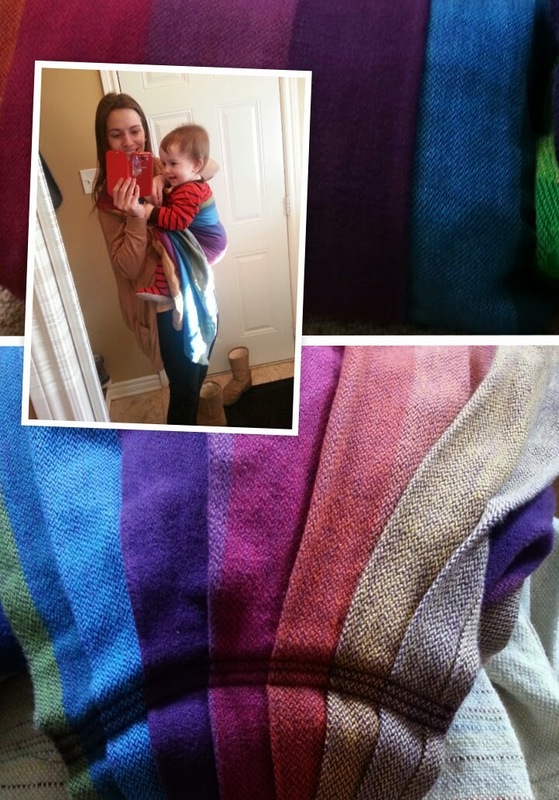 The wrap was a very beautiful mix of colours, and the pleated shoulder done by SewFunky was very comfortable, even with my 20lb chunker of a baby. The wrap was fairly thin, but I still found it nicely supportive for the quick trips we used this carrier for. The only issue I had with this wrap was that it was prone to pulls. The nature of the wrap made them easy to fix, but this drove me a bit nuts. I ended up selling this sling to fund something else, but we really enjoyed it while we owned it. Recommendation: This is a great ring sling (as are most giras), and I would recommend it to anyone looking for something small to put in their diaper bag etc. or for on the go.